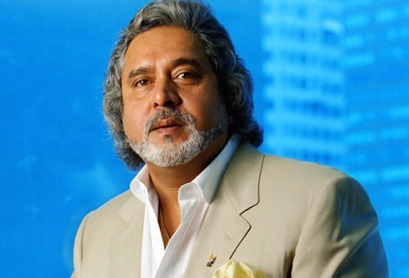 2010 seems to be Vijay Mallya’s year – It seems every Business of his is taking off. According to the latest report, United Spirits and United Breweries have each crossed sales of 100 million cases in FY10 – which puts it at Number 2 position as the world’s largest spirit maker. Well, when I said that we will sell 100 million cases in one financial year, there were many who disbelieved me, we have done it. With our current rate of growth, we should be able to overtake Diageo in the next financial year itself. The reason I say it is Vijay Mallya’s year – both his big sports ventures, the Force India Formula 1 Team and IPL Franchise Bangalore Royal Challengers are both doing extremely well. Force India has secured points in all 3 races this year, whereas BRC is very close to qualifying for Semi-Finals. Contrary to this previous couple of years, most of the pundits were saying Vijay Mallya is making all wrong bets, but now it seems all the bets taken by him are paying off ! India’s per capita Energy consumption one of the lowest in the world ! Land Glider – Half car, Half Scooter and electrically powered! 5 great Indian entrepreneurs to be inspired from! Why Kingfisher Exited Low Cost Carrier (LCC) Business [Organizational Culture]!